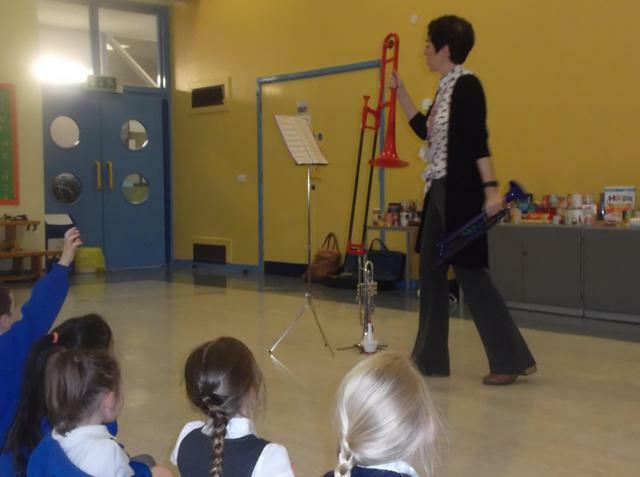 For the second week we have had a visit from the Lancashire Music Service Upbeats group who have demonstrated to the children various brass, string and woodwind instruments. 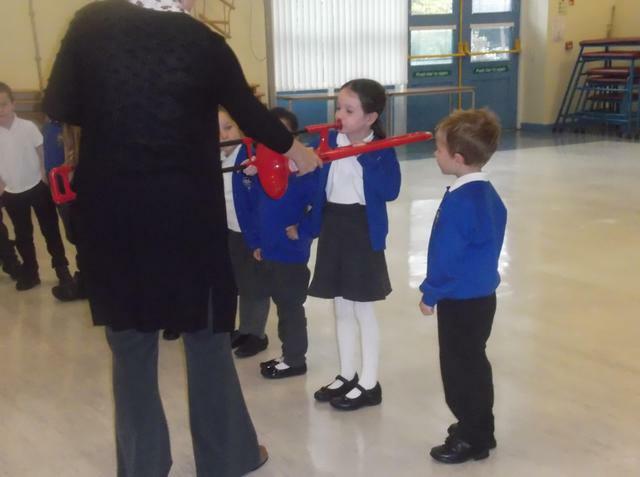 This week it was the turn of our Year 1 and 2 children to try out the instruments. 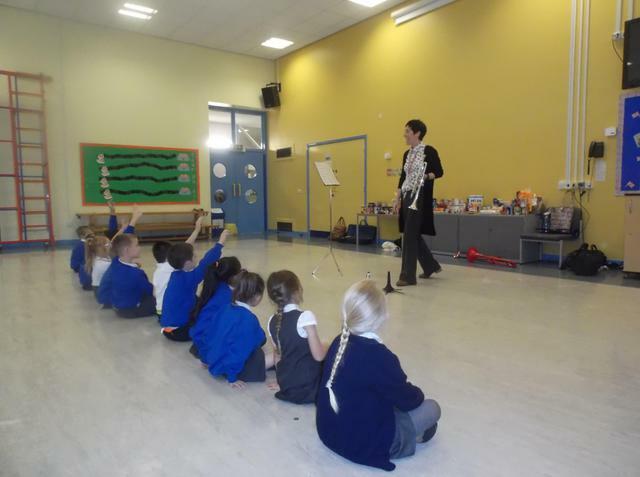 The children have taken some information home with them about how they can start to learn an instruments after school at the music centre based at Shuttleworth College if they would like to. Thanks to our visitors. 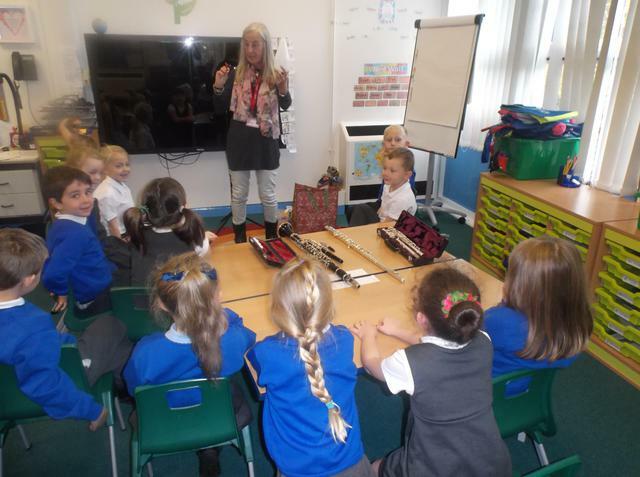 The children had a super time.